It was a pleasure to create this campaign poster for Marley. 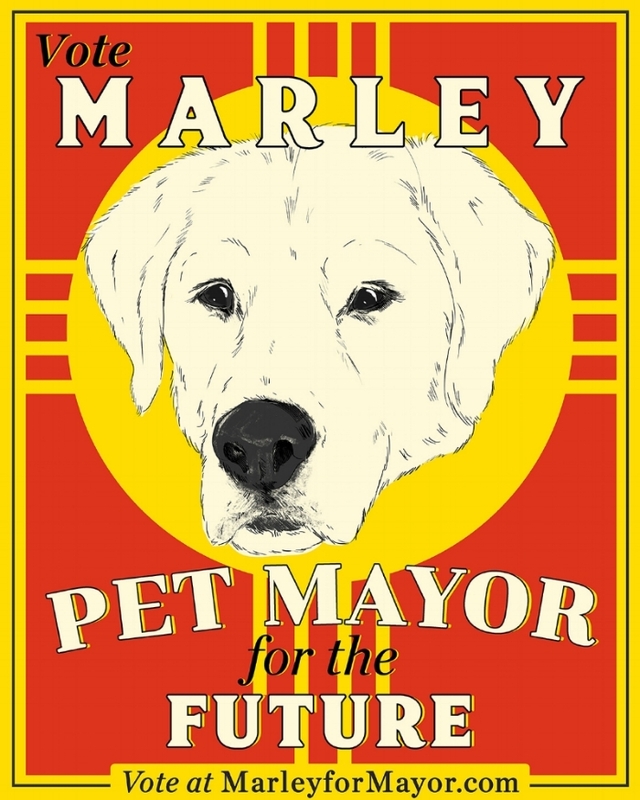 Marley is running for Pet Mayor of Corrales, New Mexico which is a statement that sounds like it was taken from Parks & Rec, but is actually true. You may vote for him here!